Rainbows are a classic spring theme. 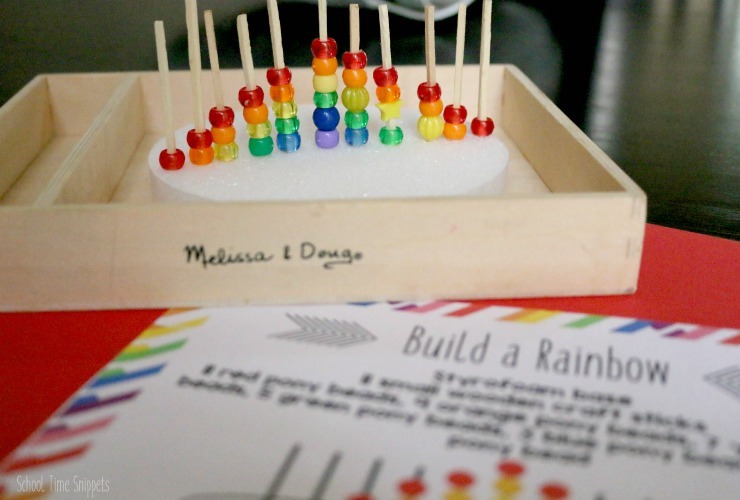 Challenge your young kiddos by having them build a rainbow with beads! 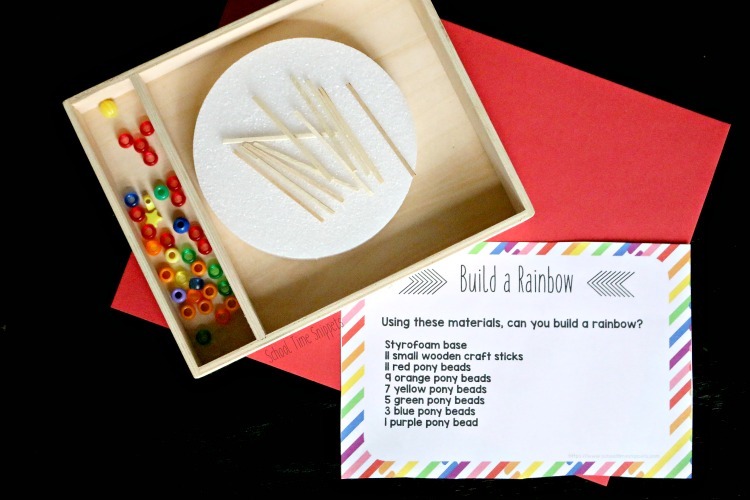 This rainbow preschool activity works on fine motor skills, patterning, and weaves in math and engineering skills. 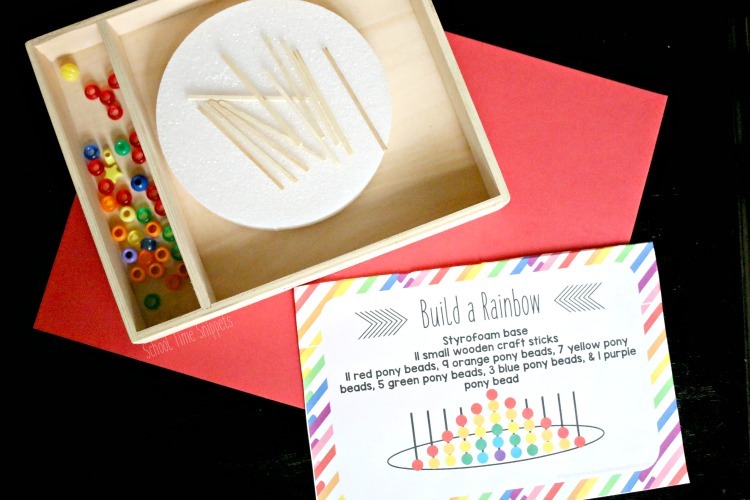 This rainbow activity is great for preschoolers or Kindergartners! We are in the midst of some serious cold weather lately and it has made me want to add some colorful activities onto our shelves, so I put together a few rainbow themed activities for my preschooler to do while I work with Big Brother on his school stuff. This rainbow activity for preschool was inspired by De tout et de rien's Pony Bead Heart Design for Valentine's Day. I thought it was such a great way to work on fine motor skills that I created this Pony Bead Rainbow Activity! Working with craft sticks and pony beads work on grasping skills as your child picks up, turns, and manipulates the pony bead onto the craft stick. Once I had the supplies gathered, I drew out the rainbow pattern on a piece of paper so that Little Sis could build her rainbow independently. See the picture above for how I drew out the rainbow. UPDATE! If you prefer, I've created a printable sheet for this activity with two separate challenges. 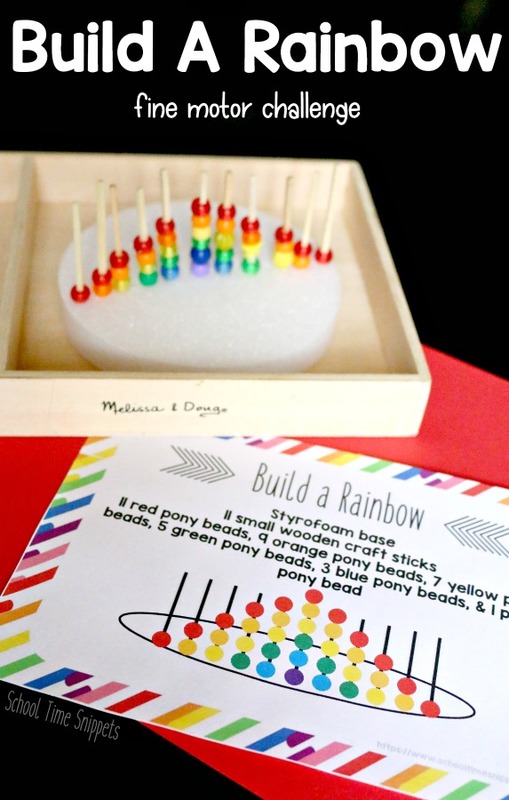 Cut the printable and use the Build A Rainbow Challenge Card that shows how to make the rainbow using pony beads OR use the Build a Rainbow Challenge Card that allows for your child to design their own rainbow using the materials provided. Simply present the activity to your child and it is pretty self-explanatory! Just follow the pattern drawn out on the card for each stick, and watch the pony bead rainbow appear! The Build a Rainbow Challenge Card without visual instructions is a great activity to boost critical thinking skills. With the materials provided, what kind of rainbow can your child design? This open-ended activity will allow your child to get creative and work on engineering and building skills! I love that so many learning concepts are worked on in this simple rainbow activity! So many skills in this low-prep rainbow activity! 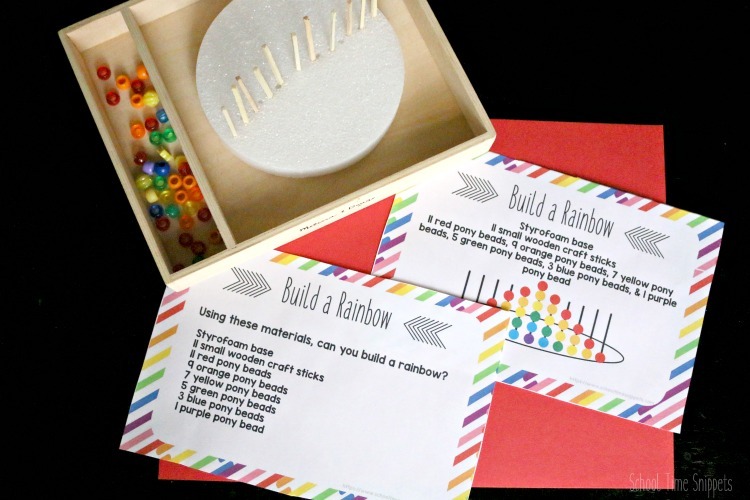 Enjoy this creative rainbow activity with your preschooler or kindergartner! Add it to your rainbow preschool activities for a colorful fine motor activity for St. Patrick's Day, during spring months, or just because! 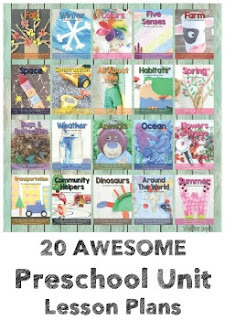 I also love that it makes a great activity to store away for another day! It doubles as a busy bag or quiet box activity, too. Set out the supplies and build! 2 comments on "Build A Rainbow Activity for Preschool"
It is so pretty! So many skills in one activity, too! Thank you! It did look very pretty once it was all together!